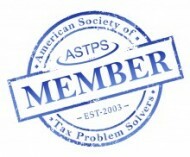 Over 20 Years of Tax and Accounting Experience. Proudly Serving the Drexel Hill; Upper Darby; Havertown; Springfield; Broomall; Newtown Square and surrounding areas. We are enrolled agents and are committed to being on top of our game with continued education and certifications to provide you with maximum expertise and peace of mind. We are also focused on the future and the utilization of top notch technology. As a Cloud-Based Accounting Firm, we are continually finding better, more effective ways to prepare taxes including a responsive website; paper-free returns and a secure portal for uploading documents and saving time so that you can focus more on the things that matter most! Now you can make your tax appointment online with us; sign up for our monthly newsletter; check your refund; and ask us questions using our Live Chat feature.